Catherine Hardwicke directs a fantasy thriller that puts a haunting twist on the classic fairy tale. 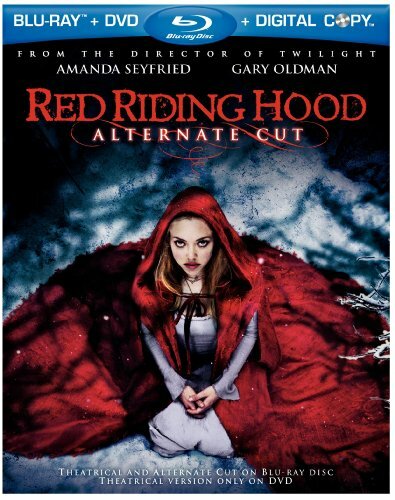 For years the villagers of Daggerhorn have maintained an uneasy truce with a werewolf - but the beast changes the stakes by killing the older sister of beautiful young Valerie (Amanda Seyfried). Promised in marriage to one man but in love with another, Valerie has her life dramatically affected yet again by the creature's bloody actions. Catherine Hardwicke (Twilight) directs a fantasy thriller that puts a haunting twist on the classic fairy tale. For years the villagers of Daggerhorn have maintained an uneasy truce with a werewolf - but the beast changes the stakes by killing the older sister of beautiful young Valerie (Amanda Seyfried). Promised in marriage to one man but in love with another, Valerie has her life dramatically affected yet again by the creature's bloody actions. When a werewolf hunter warns that the beast takes human form by day and walks among them, panic sets in as the death toll rises. And Valerie learns she has a unique connection to the wolf that inexorably draws them together, making her both suspect...and bait. Gary Oldman, Billie Burke, Shiloh Fernandez, Max Irons, Virginia Madsen, Lukas Haas and Julie Christie also star.